The Tibor de Nagy Gallery is pleased to present an exhibition that joins together small-scale works on paper from the 1970s by John Ashbery, Joe Brainard and Donald Evans. 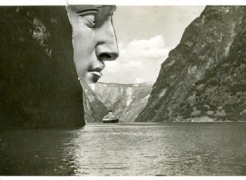 John Ashbery, the celebrated poet, is represented by a series of collages which he crafts from vintage postcards that he collected while living in Paris. 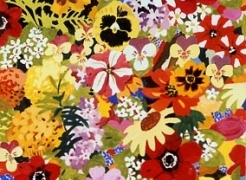 Joe Brainard (1942-1994) is best known for his small scale collages and works on paper, in which he combines a technical skill and gift for composition along with seemingly endless invention and imagination. 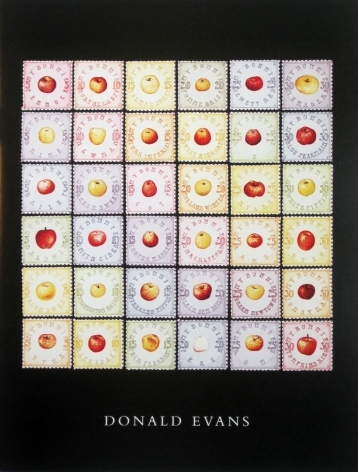 Donald Evans (1945-1977) painted thousands of postage stamps over the course of his short life, commemorating imaginary countries complete with their own history, geography, currency, and customs. In contrast to cool Minimalism, the prevailing movement of the 1970s, these three artists each developed their own, idiosyncratic vision that was charming, modest, often humorous, and seemingly in dialogue with one another. For instance, many of the materials that Ashbery layers onto his vintage postcards were given to him by Brainard. 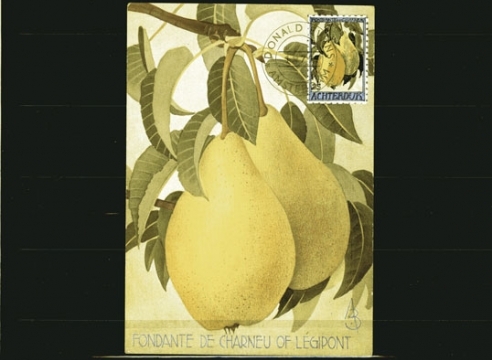 In addition, Ashbery has included in one collage a triangular stamp similar to triangular stamps that often appeared in Evans' work from the same period.